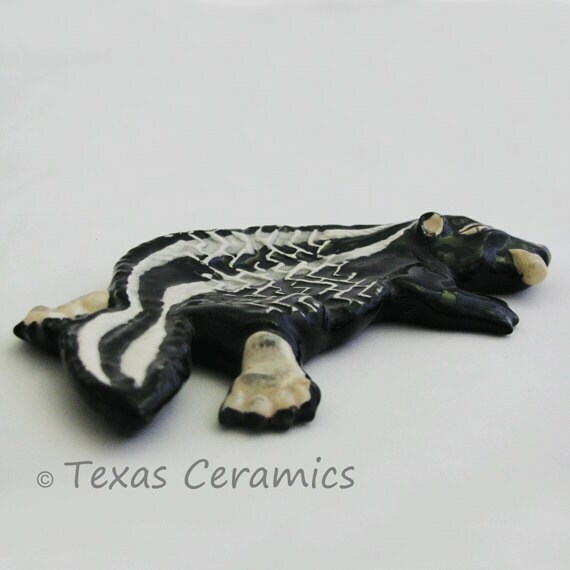 This dead Skunk tea bag holder or road kill skunk spoon rest can also be used as a ceramic catch all, gag gift or desk accessory. This poor squashed skunk didn’t make it across the road and was run over, it even has tire tracks down the middle of his body. We love skunks even though they love to dig up our yard and make us run the opposite direction! I know this is rather strange, but it does grow on you. It’s a fun item and a real eye catcher - this road kill series is something I've been making since 2004. 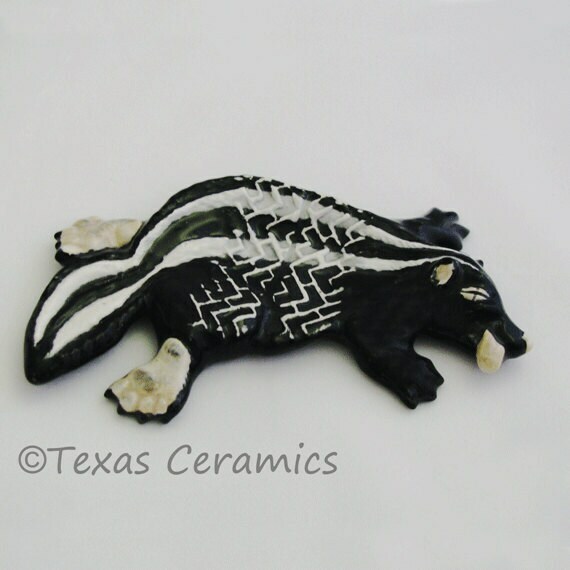 The skunk is hand cast from a ceramic mold with clay slip and fired in my kiln. All detail is hand painted and finished with a non-toxic food safe glaze. It is dishwasher safe and the colors or design will not wash off, fade or peel. This is a great alternative for the guys that don’t want some fancy item on their desk or dresser. 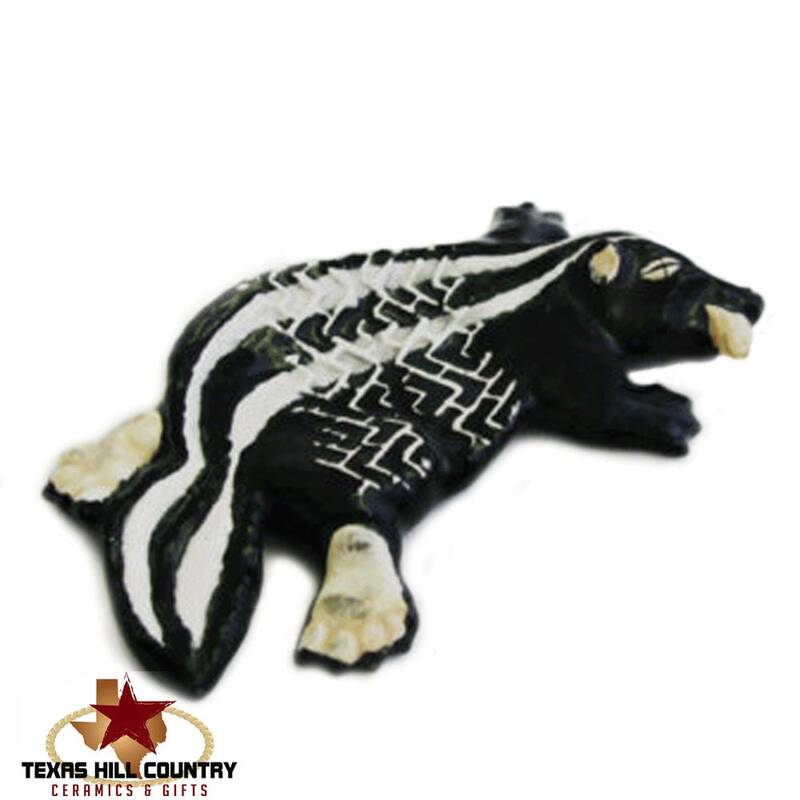 This black and white skunk road kill makes a great GAG gift too! 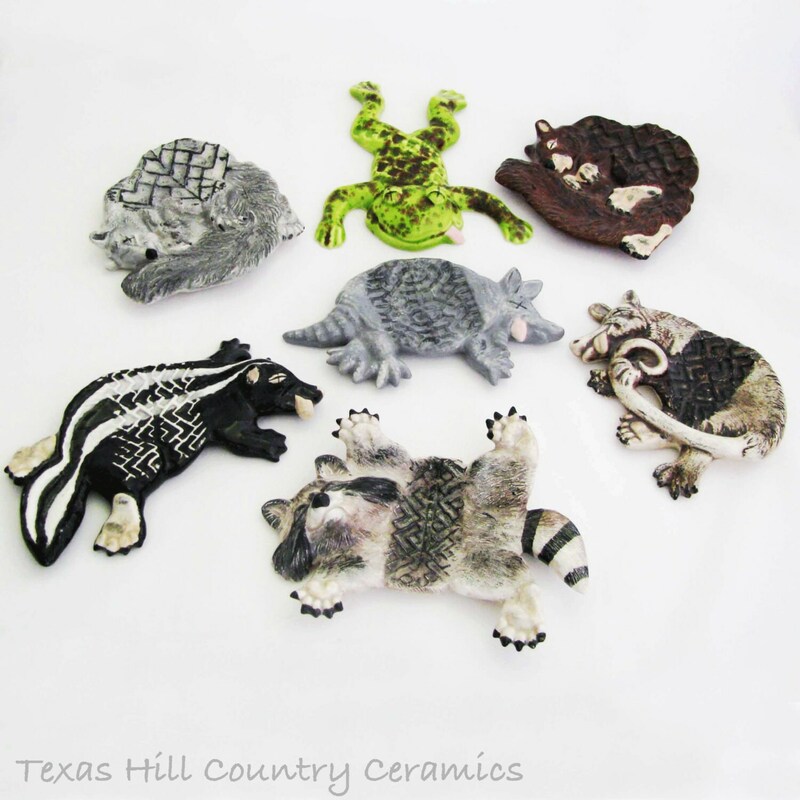 Also available are a opossum, frog, armadillo, squirrel and raccoon, as seen in the last photo. These items are sold separately. It is even cuter than the image online! Lightning quick ship & great communication. 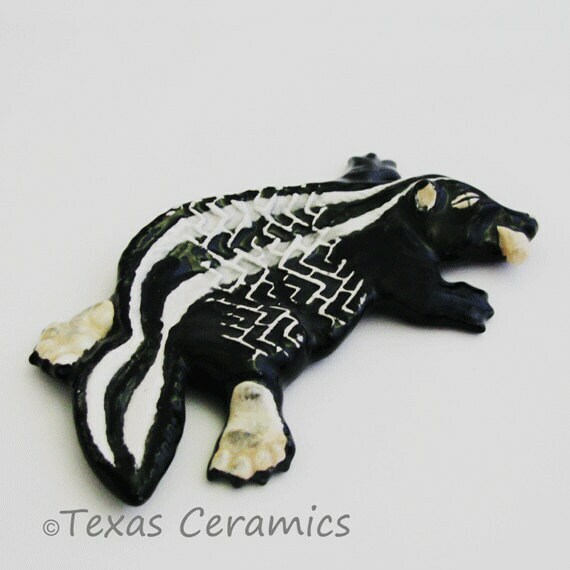 The skunk is both adorable & hilarious! I know my friend will love it. Thank you so much! Was a gift and was well received!! really cute !! Thank you.